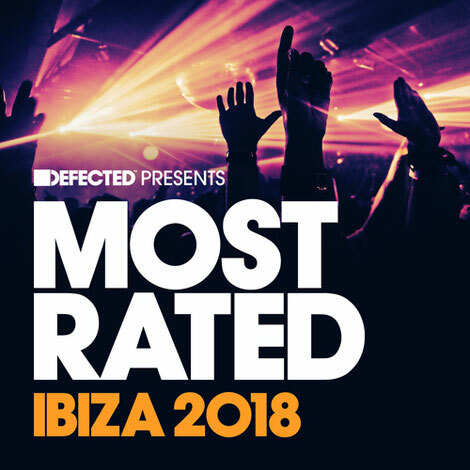 Defected give their view on the biggest house records making an impact on the island this season with the 2018 instalment of the annual ‘Most Rated Ibiza’ compilation. Featuring 50 tracks and three mixes covering house music, CamelPhat & Ali Love kick things off with their ‘Dopamine Machine’ with its direct house sound and vocal hook. More Defected dancefloor favourites come in the form of Ferreck Dawn & Robosonic’s bassy ‘In Arms’ and Finn’s ‘Sometimes The Going Gets A Little Tough’. Fresh from the label is Peggy Gou’s remix of Shakedown’s ‘At Night’ alongside a hot new exclusive from Wankelmut & Anna Leyne with ‘Show You’. Nasser Baker serves up his ‘Say Something’ as well as more house tracks including Weiss’ ‘Feel My Needs’ and Peggy Gou’s grooving ‘Han Jan’. Illyus & Barrientos put their deeper spin on Soulsearcher’s ‘Can’t Get Enough!’, another house anthem comes in the form of Dr Packer’s remix of Pete Heller’s ‘Big Love’ and Floorplan put their bass-heavy touch on Sophie Lloyd’s ‘Calling Out’ featuring gospel vocals from Dames Brown. Productions from Bicep, Dennis Ferrer & Skream, Eats Everything, Harry Romero, Honey Dijon and Richy Ahmed round off the package.